It is 5:30pm in Chicago, sunny and 58°F. This is a cause for celebration. And there's no better way to celebrate good weather than by pulling out the ice cream maker - one of the many wonderful and incredibly useful wedding gifts Mr. Cleaver and I received. We use our ice cream maker at least once a month, even throughout the winter, so to those who think an ice cream maker is that wedding gift that gets used twice and never again, I prove you wrong in this instance. Now in interest of full disclosure, I made this sorbet a week ago when it was 35°, but after a long Chicago winter, when it finally hits 35 people start pulling out their shorts. I had previously made a dark chocolate sorbet from that most wonderful of food-centric websites, Chocolate and Zucchini. 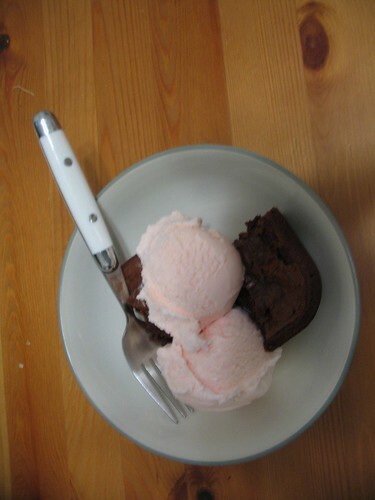 It definitely a make again, but the sorbet, I think is really suited to the lightness and sweetness of fresh fruit. 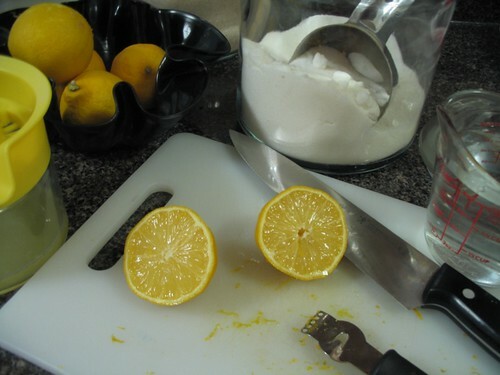 So, to bring a ray of sunshine into my kitchen, I opted for a Sunny Lemon Sorbet. 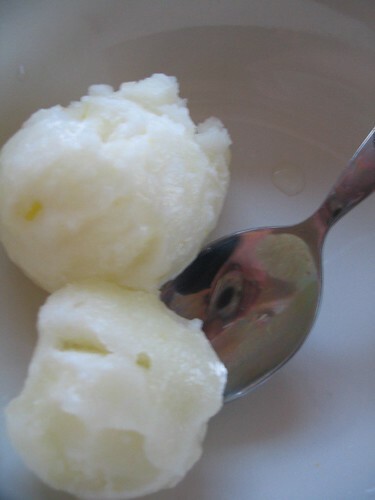 Lemon Sorbet is maybe the easiest thing to make ever. That's it! I love food with a small number of ingredients. Mix all the ingredients together in a bowl and place in the fridge for a minimum of 4 hours, again - I always let it sit over night before I put it into the ice cream maker. This will allow the sugar to dissolve and the mixture to cool, so the machine doesn't have to work as hard. Pour sorbet mixture into the ice cream machine and churn for about 30-45 minutes for a smooth, sweet and refreshing treat! Would pair well with shortbread cookies. - I thought I'd give a shot at making my own this year. I meant to post this recipe before Christmas, but I left for Maine and didn't bring the recipe with me. So now it can serve as a way to use all those leftover candy canes! 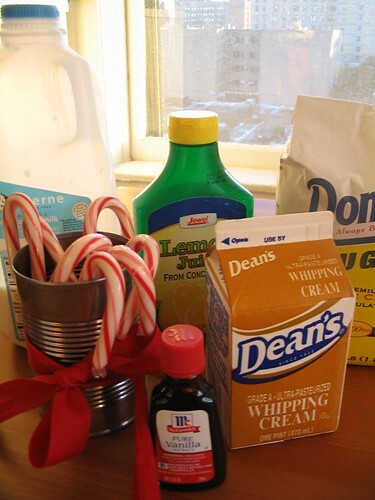 Crush candy canes until broken into fairly small bits (see photo). 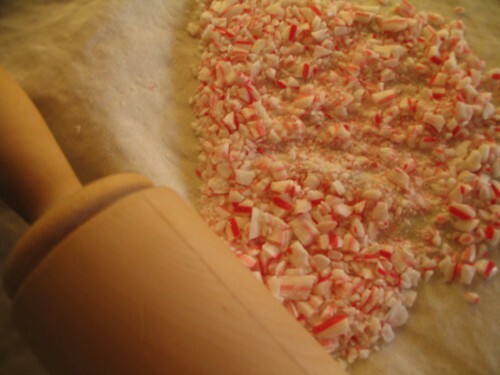 Combine half of the candy cane crumbles with the remainder of the ingredients and mix well. Put the mixture in the the fridge for a minimum of 6 hours up to leaving it overnight - this will allow the candy cane to dissolve into the mixture and I've found that it gives the ice cream a better consistency when you churn it. After chilling the mixture, stir well and pour mixture into ice cream maker, making sure to scrape all the sugar and remaining bits of candy cane out. After the machine has been churning for about 15 minutes, add the remaining half of the candy cane, which will end up as crunchy bits in the finished product - if you're not a fan of crunchy things in your cream, add all the candy cane at the beginning. 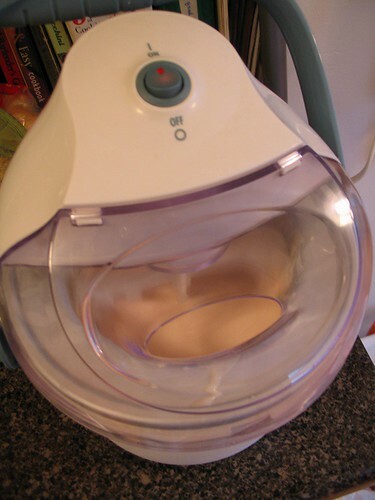 Churn the ice cream until desired consistency, mine ice cream maker usually takes a total of 45 minutes. 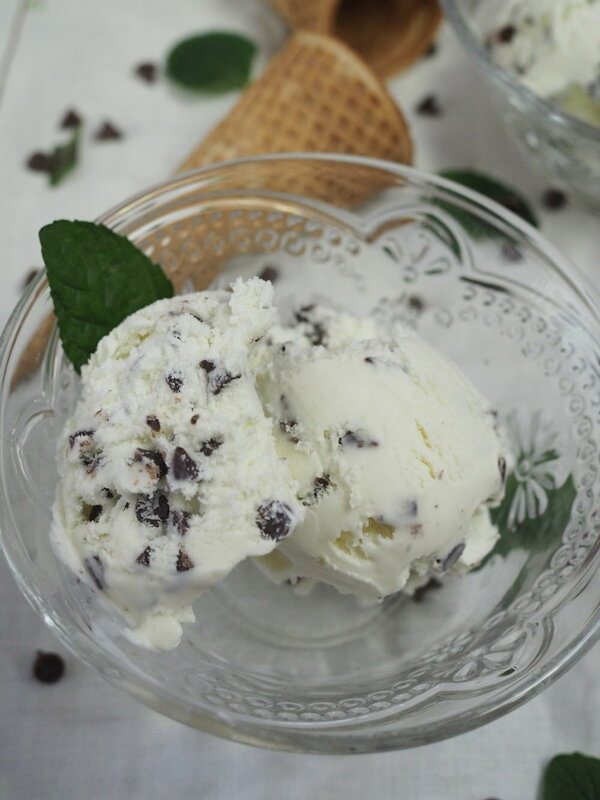 Pour the ice cream into a container and put into the freezer until solid and enjoy - goes especially well with chocolate!